When I get hungry I can get in a bad mood really quick so I always have snacks with me when I'm out. I went through a pretty long period of time where I was snacking on Clif Bars and other packaged goodies regularly. It was easy and quick but they didn't leave me feeling very great. Plus, I've been actively trying to reduce the amount of trash that I create. Both of those reasons alone gave me enough motivation to create some new snacks on my own. And that's when the oatmeal peanut butter bites were born. I meal prep a bunch of these on Sunday nights and then I have enough to last throughout the week. I toss everything in the blender, blend it up, roll 'em out, and go to town snacking on them whenever the need arises. We all deserve healthy homemade snacks in our lives. Snacks are meant to fill us up when we need a little boost and get us to our next meal. The more whole foods that we use in our snacks means more energy and nutrients that we're able to away from it. 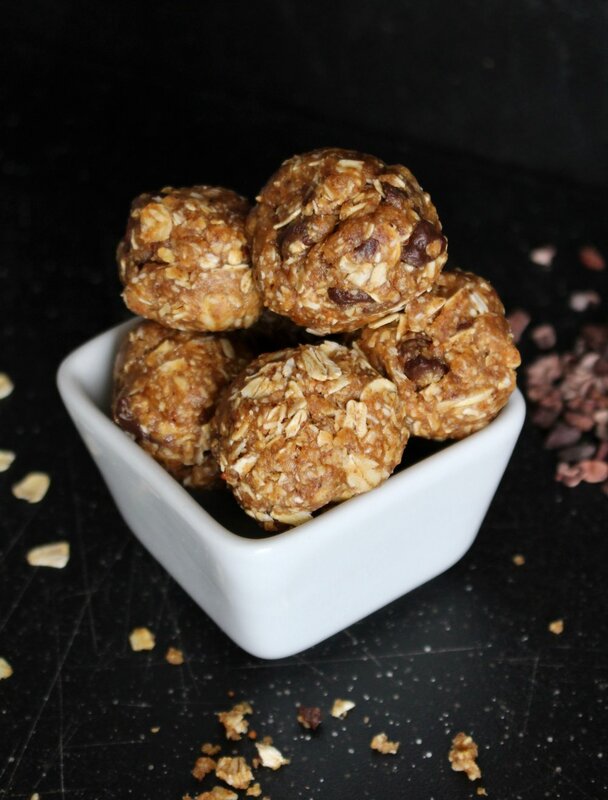 Fun snacks made at home that are packed full of nutrients. Sounds like a win-win to me. Add all ingredients into blender or food processor. Pulse until ingredients start to bind together. Remove and roll into balls. Serve, enjoy!